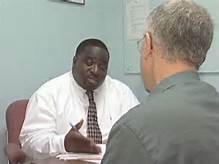 The Local Probation Program provides supervision for misdemeanor and class 5 and 6 felony offenders in accorandance to the Comprehensive Community Corrections Act. Our population's probation is the result of the suspension or deferral of up to a maximum of a twelve month jail sentence per offense. Our program provides probation supervision in service to the Circuit Court, General District Court and the Juvenile and Domestic Relations Court for Charlottesville, Albemarle, Fluvanna, Goochland, Greene, Louisa, Madison, Nelson and Orange. The successful completion of supervision would consist of the offender’s completion of court ordered obligations, compliance with probation standards and good behavior. Ideally, for medium and high risk offenders, their change process begins toward living a more productive, positive, and crime-free lifestyle. When successful, our community becomes safer, our tax burden is lessened, and the lives of our offenders are positively impacted. •Be a change agent in the life of the offender.